Order online or call 1-305-865-8517. We ship internationally. 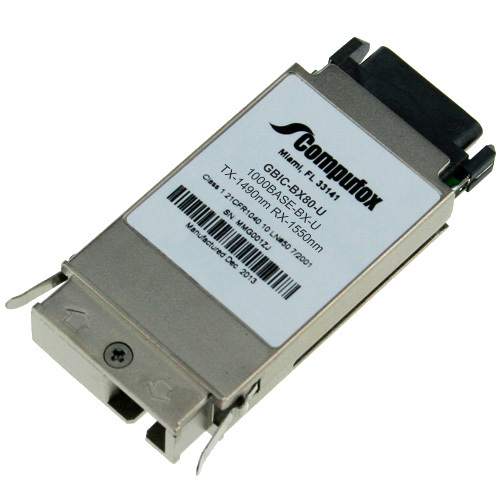 All our GBIC BIDI, 1.25Gbps, TX-1490nm, RX-1550nm, SMF, 80KM fiber optic transceiver modules come with an industry leading Lifetime warranty. Every GBIC-BX80-U module is environmentally tested in its specific port/platform, which includes compliance verification for distance, wavelength, traffic density and light.